Is one of these the McLaren supercar of tomorrow? McLaren has picked the winners of a student design competition held in association with the prestigious Istituto Europeo di Design. The project involved a total of 39 students subdivided in 14 groups which then completed their work as a team, each producing a 1:4 scale model. Three models were awarded first, second and third prizes. In third, was ‘MP11' a very aggressive-looking car that was true to the engineering package in the brief. The runner-up, 'Manta', took a strikingly different direction to any other. 'M Eleven B' (pictured) took overall honours with first place, representing the best interpretation of a future McLaren road car. ...but, it has to be made outta LEGO, right? I'll let this one slide to be nice to them. The entry-level McLaren P13 sports car, to be unveiled at the 2015 Geneva Auto Show, will go on sale in fall 2015 with a price tag of $210,000, Edmunds has learned. Its main rivals will be the Porsche 911 Turbo S and GT3, Audi R8 V10 and Ferrari California. The P13 — the production model will get a different name — will be much the same size as the new McLaren 650S. Like the 650S, the P13 will be a midengine two-seater and, because it uses a modified version of the pricier car's carbon-fiber body, will be similarly sized. But according to McLaren Managing Director Mike Flewitt, it will be more practical. "It's got to be usable, with easy ingress and egress and good storage on board," he said. The P13 won't look vastly different from the 650S because it shares the same midengine, two-seater layout. Flewitt said that "it's difficult to style midengine cars to look different, not least for cooling reasons; side-mounted radiators dictate a lot of style." Of its character, Flewitt said that "P13 will be a very engaging car to drive. It will be fun but safe," and its handling unintimidating. The car will feature a detuned version of the 650S's 3.8-liter twin-turbo V8, and should accelerate from zero to 62 mph in around 4.0 seconds, about a second slower than the 650S, with a top speed of 185 mph rather than 207 mph. 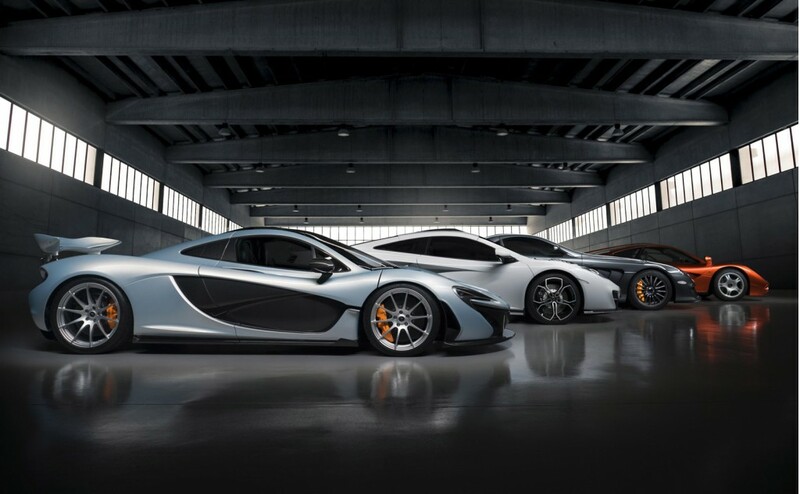 In 2017, the P13 will be joined by the P15, which sits above the 650S at $500,000-600,000. This car "is not a replacement for the P1," said Flewitt of the current McLaren flagship supercar. Instead, the P1's follow-up "needs to be a technical step-change — it could be 10 years away," he said. McLaren Automotive itself will have progressed in 10 years to a company making 4,000-6000 cars, Flewitt said, and "all models will be hybrids, even if some use a basic form of hybridization." Flewitt also expects to see some engine downsizing: "We will offer two or three mainstream cars, plus some specialty models — something like the P1 or perhaps even a full-electric car." An SUV is not on the agenda: "We have no technology or platform suitable for an SUV, and it's not what McLaren is about. Never say never, but it's not in the thoughts of the management or the shareholders. We are a sports car maker." Right now, Flewitt's major goal is raising worldwide awareness of McLaren's road cars, so that they appear more readily on potential buyers' shopping lists. "We're not in the same league as Ferrari or Porsche in terms of recognition for road cars, but we're still a very young company," he said. "We have only been making them for three years and we're making very good progress." Despite the company's relative newness as a road-car maker, McLarens are selling well in the U.S., which is now the automaker's largest market. Flewitt attributes the willingness of American buyers to try something new as part of the reason for this success. McLaren has announced a global premiere for the 2014 Goodwood Festival of Speed taking place this month and has released this teaser image to whet our appetite. The global premiere will be a new track-focused version of one of McLaren’s supercars, developed by the automaker’s McLaren GT motorsport offshoot. Rather than the highly-anticipated P1 GTR that was recently confirmed by McLaren, the global premiere is more likely to be a new 650S-based race car to replace the 12C GT3 or possibly a track-focused version of the 650S similar to the previous 12C GT Sprint. 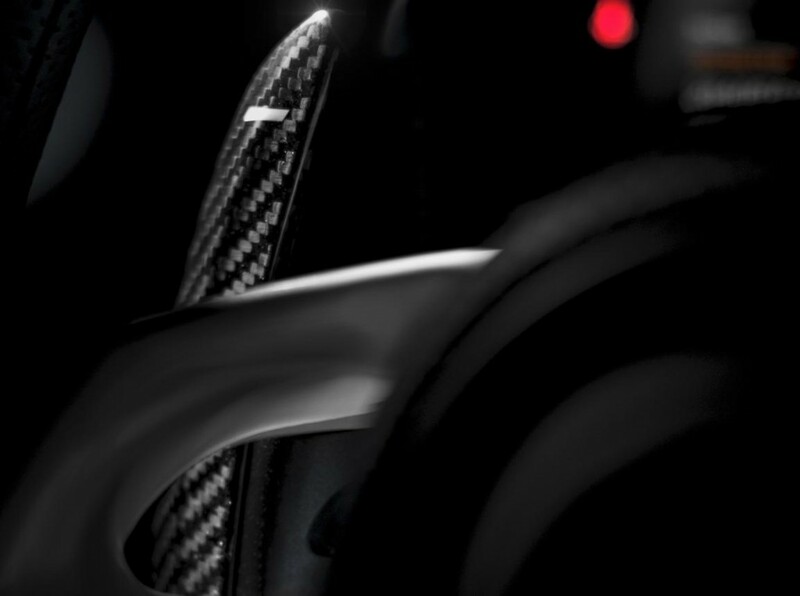 If you look carefully at the teaser, the design of the side intakes is more like the one on the 650S than on the P1. The new car will be revealed on June 27 at the 2014 Goodwood Festival of Speed, where McLaren Formula One driver Jenson Button will drive it up the event’s famous hill climb. McLaren will also have its full collection of cars on show as well as some race cars from its past, including an M7C F1 race car driven by McLaren founder Bruce McLaren. 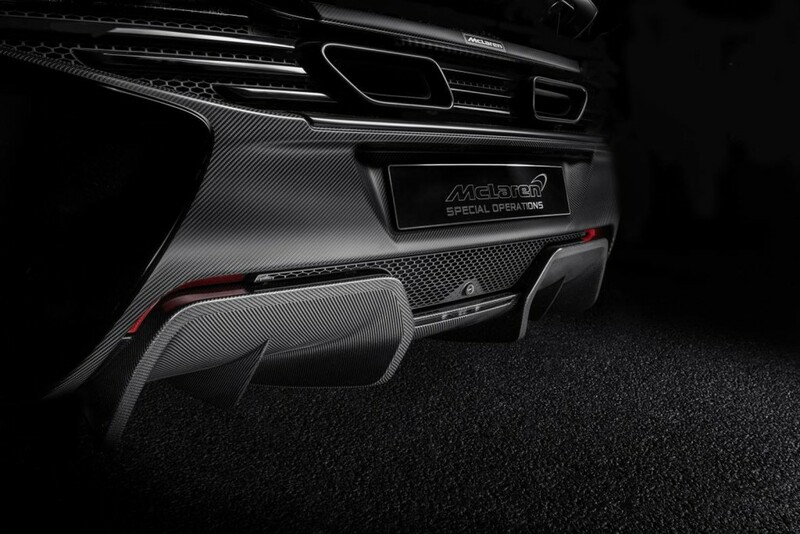 In addition to this, there will be a 650S unveiled that has been worked over by the men and women at the McLaren Special Operations personalization department. This year’s festival is once again taking place on the grounds of Goodwood House in the U.K., and runs from June 26-29. For more from the event, head to our dedicated hub. If you already own or are thinking of getting a McLaren but are jealous of all the personalization options Ferrari offers its customers, you no longer have to look on with envy as the British firm’s own personalization department, McLaren Special Operations (MSO), has just been significantly expanded. There are now five specific levels of personalization programs that offer upgrades ranging from minor body mods right up to dedicated client racing programs like that involving the upcoming P1 GTR track car. The five levels in ascending order are: MSO Defined, MSO Bespoke, MSO Heritage, MSO Limited and MSO Programs. MSO Defined: This program is ideal for those buyers new to the world of vehicle personalization. Key modifications here include the installation of items such as aero kits and replacement components made out of carbon fiber, such as for the rear diffuser, side mirror stands and dash elements. MSO Bespoke: Those with more ambitious modifications in mind should sign up for the MSO Bespoke program, which provides an almost unlimited level of personalization to McLaren owners. Options can be as simple as unique paint or leather trims or rise up to be as complex as one-off vehicles. Let’s just hope we don’t see anything as silly as 2012’s X-1 anytime soon. MSO Limited: As its name suggests, the MSO Limited program is tasked with creating limited-run and special edition examples of existing McLaren products. A prime example is the McLaren 50 12C which marked the brand’s 50th anniversary. MSO Heritage: This program is actually an evolution of the original McLaren Customer Care Program launched in the 1990s to cater to owners of McLaren’s first road car, the F1. MSO Heritage looks after owners of McLaren models no longer in production, such as the F1 as well as the Mercedes-Benz SLR McLaren and more recent 12C. MSO Programs: Finally, the recently-launched MSO Programs division encompasses the upcoming P1 GTR track special and all related services, such as driver training, vehicle transport and maintenance, and the organizing of track day events around the globe. Like any good racing team, the road-going side of McLaren has thrown down a gauntlet for its major competitors, including Porsche and Aston Martin, declaring a complete lack of any need for an SUV to generate profits. In fact, the brand can exist solely on the sales of rather high-end supercars; after all its upcoming “entry level” Sports Series cars will still likely be priced in excess of $150,000, minimum. But as McLaren Automotive CEO Mike Flewitt told Automotive News (subscription required), his company’s business plan is smart enough to negate the need for a brand-diluting SUV. Instead, Flewitt says, profitability is based around three core concepts: spreading sales evenly across the North American, European, and Asian markets; controlling costs; and quickly iterating new models to keep customers’ interest. The result, according to Flewitt, is a brand that can self-sustain on very focused, high-performance cars, without the need for a volume-selling vehicle to beef up the bottom line. Of course, with just a handful of years in existence, McLaren Automotive may yet find it needs that financial crutch—or it may prove its brilliance. That's a great plan until they make their next plan. McLaren only has one hybrid in its lineup, the flagship P1, but its CEO Mike Flewitt believes there’ll be many more introduced over the next decade as the cost and weight of the technology are further reduced. In fact, the CEO is so bullish on hybrid tech that he hopes to have at least 50 percent of McLaren’s lineup go the hybrid route in less than 10 years. One of the new hybrid models, Flewitt revealed, could be a supercar filling the void between the 657LT and P1, and forming part of the exclusive Ultimate Series (currently P1 and P1 GTR only). It will be priced from about £400,000 (approximately $630,000) and feature a “different focus” to the P1. The car is currently referred to internally as the P15. But before the P15 is launched, McLaren has plans to expand its entry-level Sports Series range. We’ve already seen the 540C and 570S coupes, and next year we’re likely to see a new, more practical (think extra storage) bodystyle introduced. A convertible is also planned but isn’t due until 2017. In some ways, his management style is very akin to Steve Jobs. Whiskers better start saving now for one. McLaren’s boss Mike Flewitt said at the Geneva show the new three-seater, the BP23, will be the fastest McLaren ever. And the most powerful road McLaren ever. But it’s not a successor for the F1. He told Top Gear he is being very careful about that ‘fastest’ claim too. The F1 famously did 240mph. “But there are many definitions of fastest,” he said. “Could be fastest from 100-200mph… it is very powerful and has very low drag.” The perfect equation for high speed. ‘Very’ powerful? Unimaginably so. Both the V8 engine and the hybrid system will be more powerful than the P1’s. And when pulling together, they were 903bhp. “The BP23 won’t be the fastest round a track. It’s not a track car. It’s a luxury hyper-GT.” The 0-62mph time won’t drop below the P1’s 2.8 sec. Flewitt says that time can’t be beaten without all-wheel-drive. “And we’re not doing a Chiron here. It has to be a McLaren.” Which means light. Flewitt confirmed to Top Gear that the BP23 uses a 4.0-litre engine (as per the 720S) not the 3.8 capacity of the P1. And the motor is more powerful, and the battery management software is greatly improved, allowing a lighter but more powerful battery. It won’t have a plug-in capability, though it will be able to run short distances on battery reserve. McLaren is also looking at retro-fitting that battery management upgrade to the P1. “I don’t want the P1 to get old,” says Flewitt. Oh, you’re too late. They have all been sold already. In fact, says Flewitt, they had three times that number of people asking to buy one. Originally the BP23 was to have been a one-off, for a special customer. Then that customer brought a couple of his friends along and they wanted them too. There had always been a clamour for another three-seat McLaren, so then it became a full limited-run production car. McLaren has a new factory. It’s in Yorkshire, straddling the border between Sheffield and Rotherham, and it’s where the company’s carbon tubs will be made. Rather than cut a ribbon and serve some cake to open it up, however, McLaren used it as an excuse to show its new 789bhp Senna track special in action. 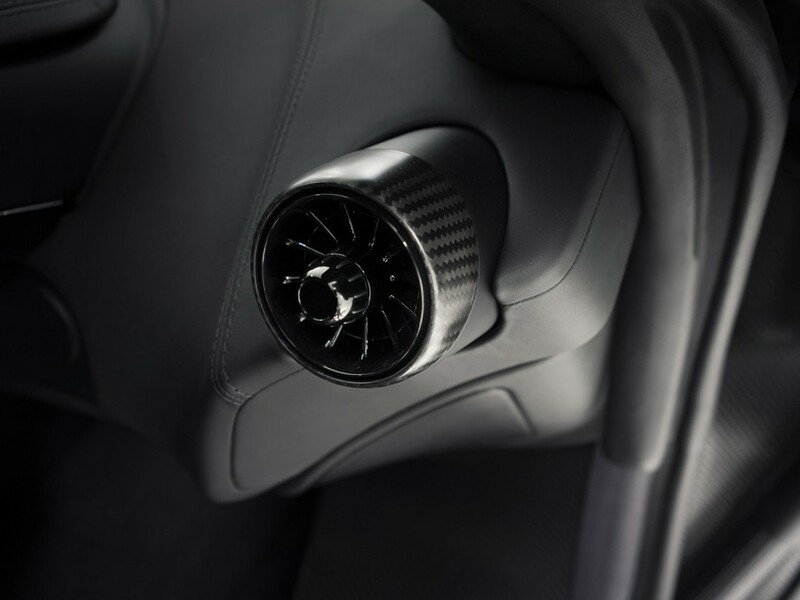 There’s a carbon core in every new McLaren – the sports cars use a MonoCell, the supercars and hypercars a stiffer MonoCage – and up until now these have been built in Europe and brought across to Woking. When the Yorkshire factory is up and running, they’ll all be made in the north of England, raising the British materials that comprise a new McLaren from 50 to 58 per cent. It’s called the McLaren Composites Technology Centre – MCTC for short, and not to be confused with the Woking base, MTC. McLaren gets the keys in April, and it should be churning out tubs by 2019, with up to 200 people being employed there. McLaren’s invested £50million in the plant, and it’s all part of the company’s big plans between now and 2022 that’ll see £1billion invested in research and development and another 12 new cars. Yes, 12. While cars themselves won’t roll off the Yorkshire line, one of their most key components will. And it’s not merely about upping how much of each McLaren sold is officially British. That suggests more diverse and intricately designed carbon tubs can be a nice little by-product of the project. McLaren is currently involved with The University of Sheffield, prototyping new tubs and their manufacture. It’s also very keen to be part of the rejuvenation of an area that once thrived on heavy industries. The factory is on the site of a former coal mine, leading Smart to conclude that McLaren is leading the area’s “next carbon era”. So, a rather apt place to give us a good look at how the Senna – which has carbon aplenty – moves around (and sounds) when presented with a shiny new factory floor. Let us know what you think below. McLaren Automotive is planning a powertrain transformation. The British automaker, synonymous with throaty V-8s, is in the early days of exploring a full-electric vehicle that could arrive by 2025. It is part of an ambitious plan to convert McLaren's sports car and supercar fleet to hybrids by 2025 as the auto industry prepares for tighter emission standards around the world. Q: Lamborghini has entered the white-hot crossover/SUV market. Why is McLaren against going down that path? A: I'm not against SUVs. They are just not what McLaren does. 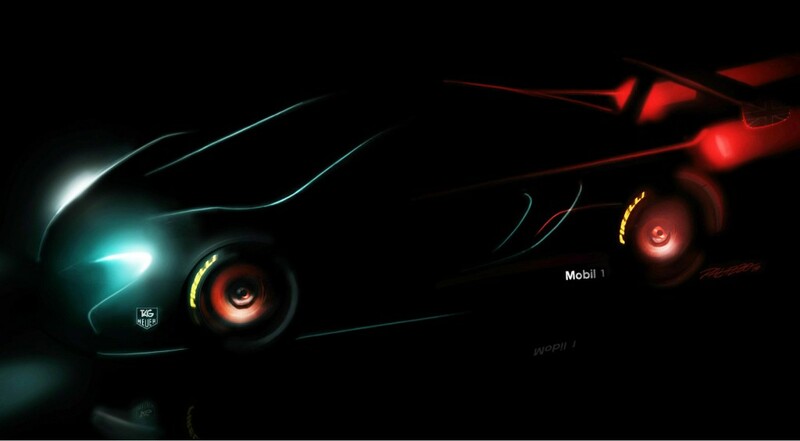 Q: McLaren will launch a successor to the P1, its gasoline-electric hybrid hypercar introduced five years ago. What can we expect from the new vehicle? A: The P1 shocked the world. It was a 900-horsepower car, light, lots of aero, incredibly compelling to drive. I think it was a huge step over anything that was there. Q: McLaren built about 3,300 vehicles last year, and plans call for producing 6,000 a year in 2025. What's driving the increased production? A: Our cars are always going to be very exclusive products. If you looked at how many cars we sell in the U.S. and the U.K., that isn't going to change. What is changing is that a lot of new markets are opening. We're selling cars into markets that you didn't sell sup-er-cars to 10-15 years ago. Q: North America is McLaren's largest market, accounting for about 35 percent of sales. What effect might the Trump administration's proposed 25 percent tariff on auto imports have on McLaren as a low-volume luxury automaker? A: I am probably more worried today about the threat of tariffs into North America than I am about Brexit. My goal in life is completely free trade. What happens when you see tariff duties change is the market tends to stop while it understands what's happing, to digest what the new world is. I don't want that interruption in our business.